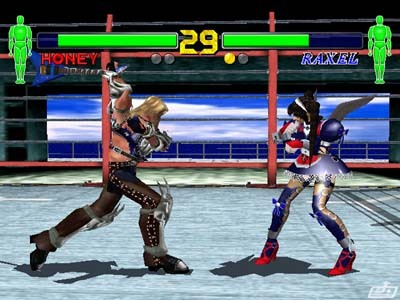 ABOUT: The sequel to Sega's sleeper arcade hit, Fighting Vipers, was released only in Japan (1998) and in Europe (2001), thus becoming a very rare fighting game elsewhere. 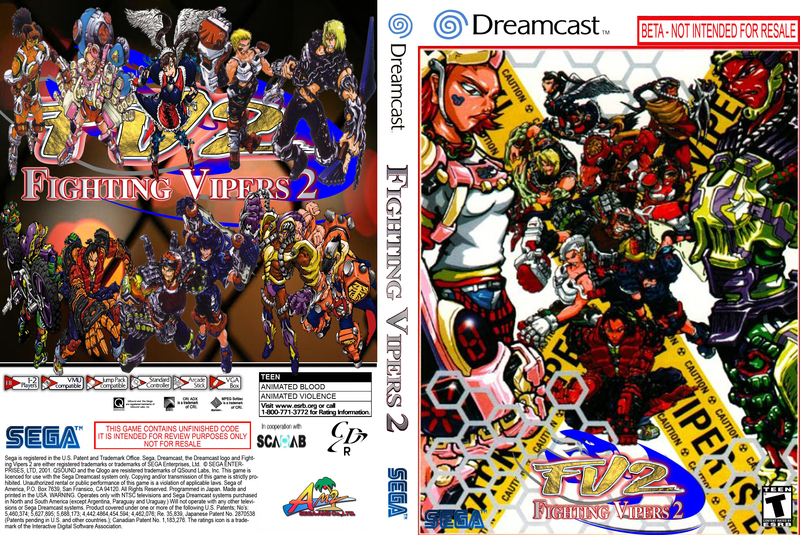 A North American release for Fighting Vipers 2 was originally planned, but was later cancelled. 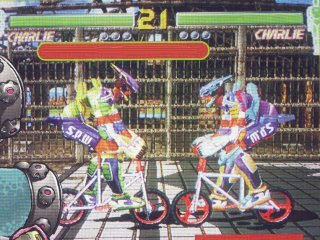 Fighting Vipers 2 introduces 2 new characters (Emi & Charlie), improved graphics, new stage designs, and a few gameplay tweaks. 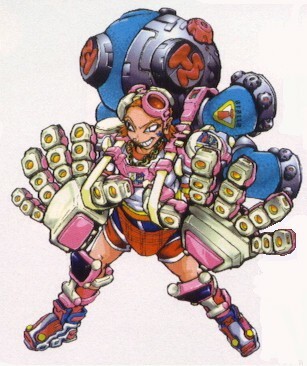 There are also 2 secret unlockable characters, including: Del Sol, a Mexican wrestler with a Sun mask, and Kuhn, a mimic character whose moveset changes after each round, similar to Dural from Virtua Fighter. 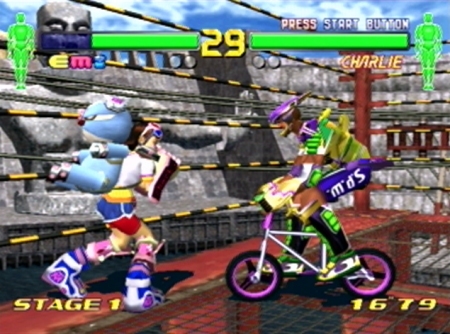 One of the newcomers, Charlie, can fight using his trick bike. 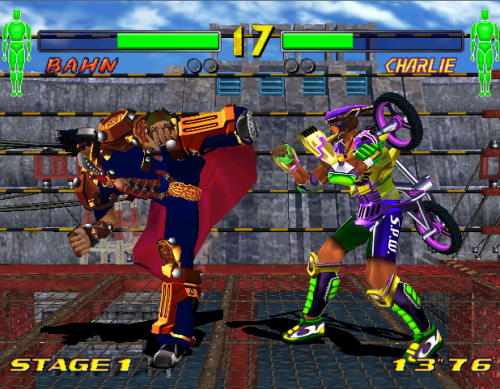 The gameplay builds upon the armor breaking system in the first game. 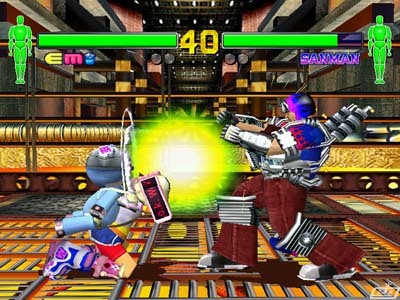 The main draw of the gameplay is, once again, using the enclosed stages to your advantage and breaking your opponents armor. 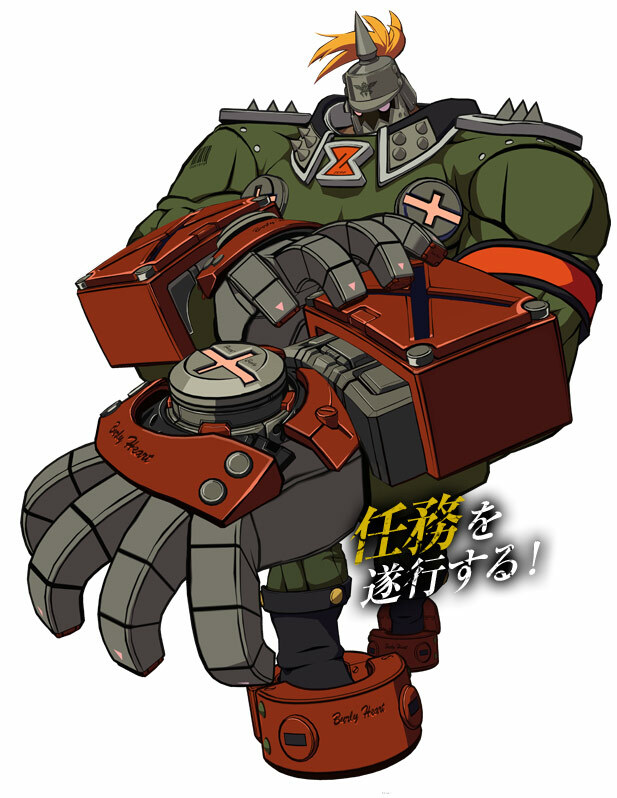 The new armor gauge shows the state of each fighter's armor, and there are new effects on the character when the armor is broken. 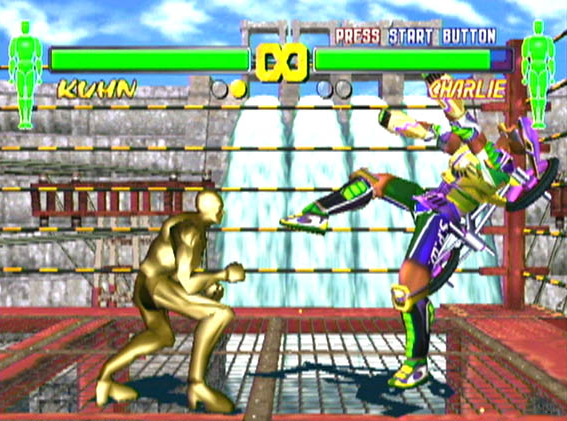 When a fighter has lost all of their armor, they will be susceptible to a "Super K.O" move from their opponent. 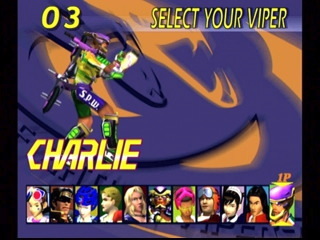 All returning vipers show off new armor designs. 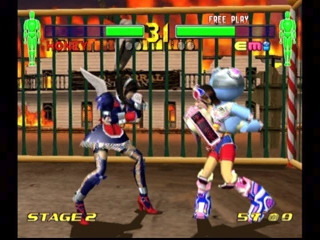 Unlike Tekken, Virtua Fighter, or even the Street Fighter games of the time, Fighting Vipers has a more simplistic fighting engine. 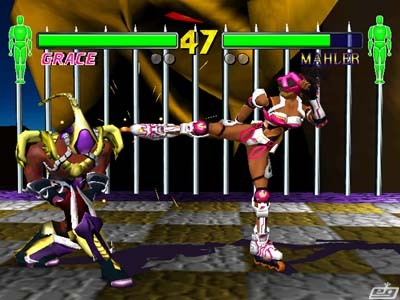 The gameplay revolves mostly around stringing together ever-longer combinations of basic punches and kicks. 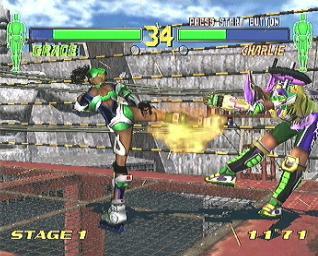 This causes fights to usually end very quick, since the longer chain attacks can be so devastating. 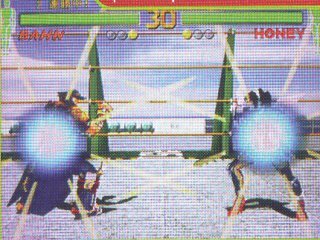 For high level players, it's important to learn the deflections and guard breaker moves common to each character. 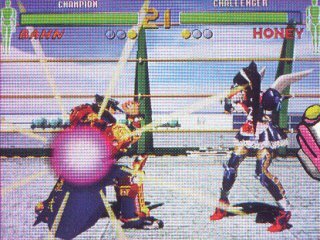 The lack of dodge or sidestep moves makes breakers and deflections very important as it's quite easy to get caught against a wall and juggled into a KO within a few seconds. 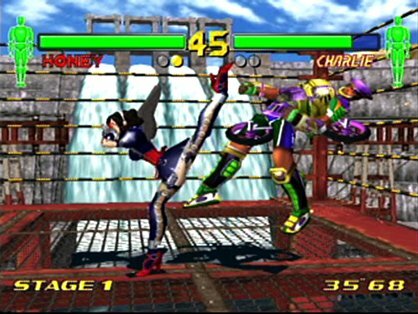 Unfortunately, I've never had the opportunity to play Fighting Vipers 2. 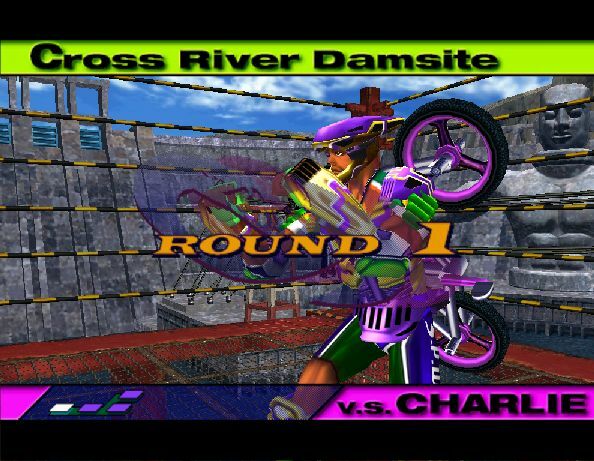 Being somewhat of a fan of the first game, I always wanted to check out the sequel. 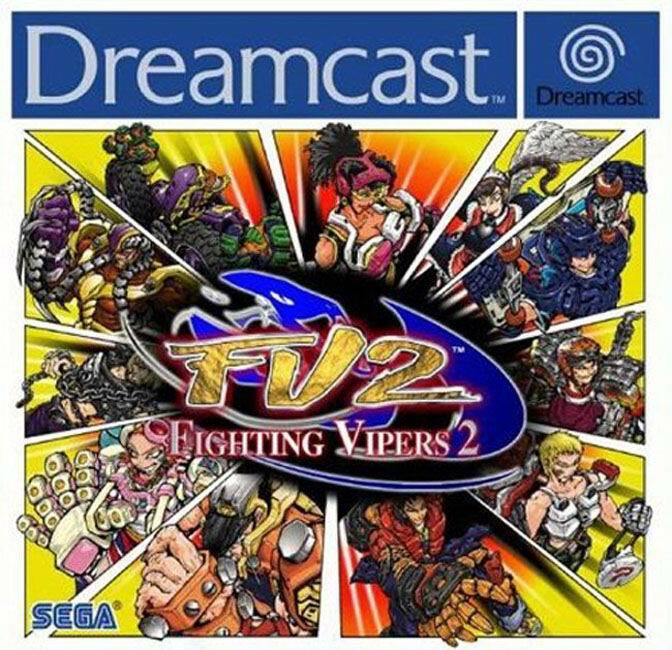 The new characters in FV2 look appropriately kooky and intriguing, and the gameplay seems to have taken a few small steps forward while retaining the fun of the original.